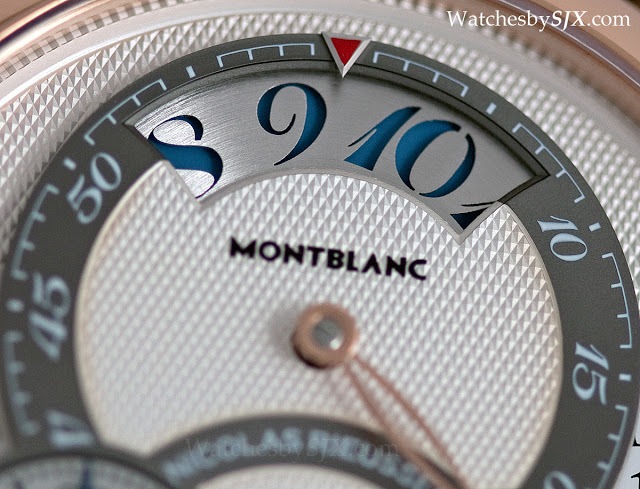 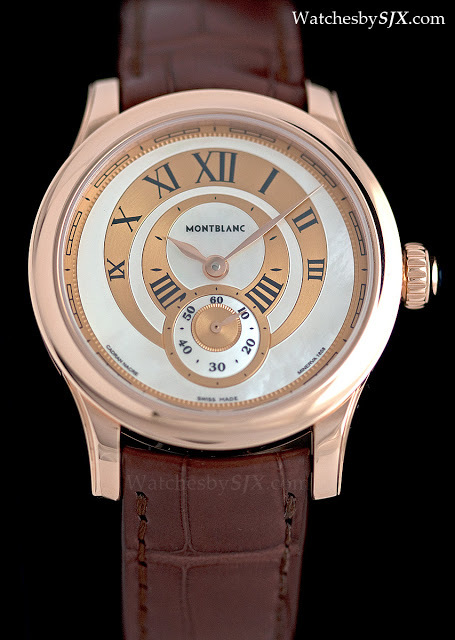 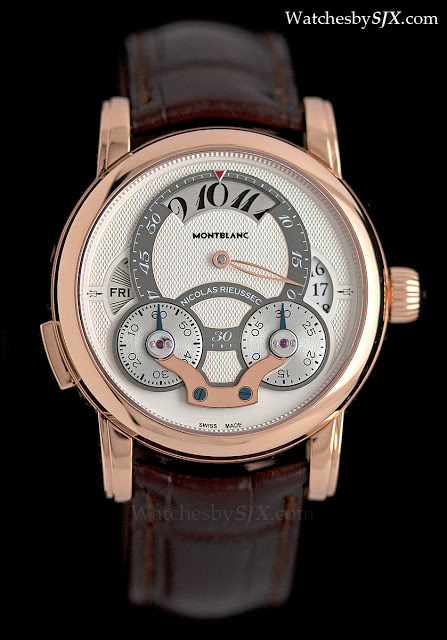 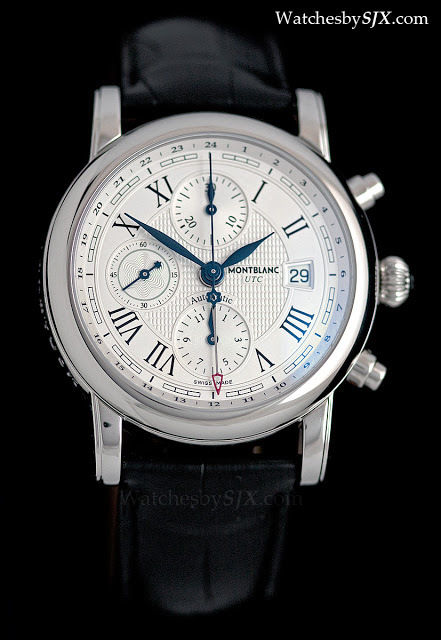 With its high-end Villeret 1858 line Montblanc moderated some of its ambitions of previous years. 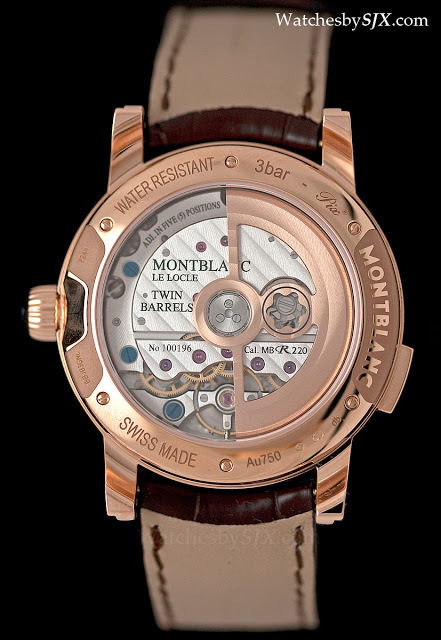 The new additions to the Villeret 1858 collection were characterised by cosmetic improvements, rather than major technical changes. 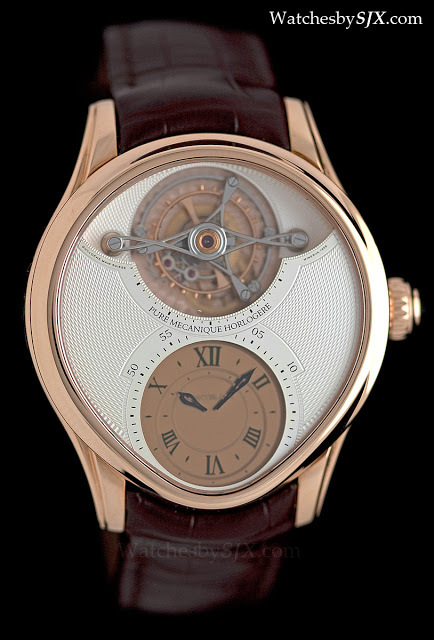 Though the Villeret 1858 are still not widely appreciated, they are certainly some of the best finished timepieces from a big manufacturer available today. 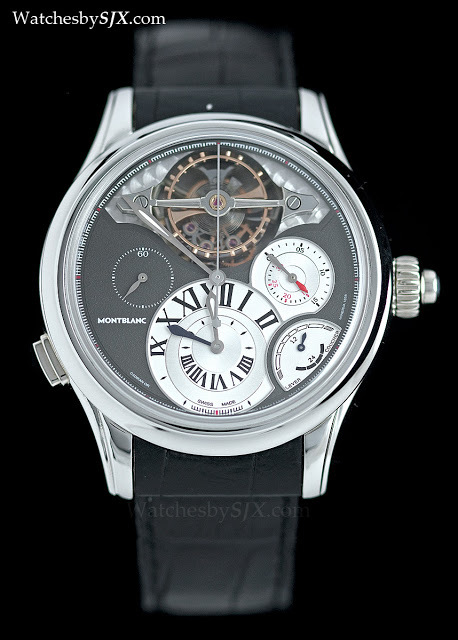 One of the watches to received a facelift is the ExoTourbillon Chronographe, which has an unusual tourbillon construction with the tourbillon carriage placed below the balance wheel. 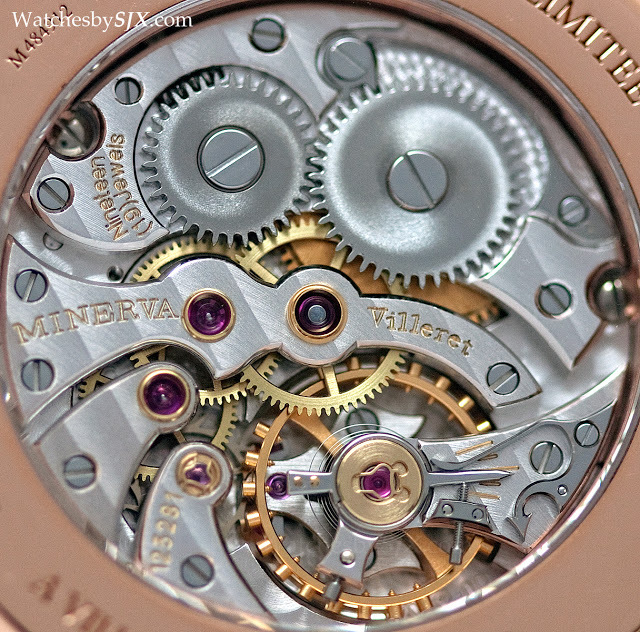 This is available in rose or white gold, each limited to eight pieces. 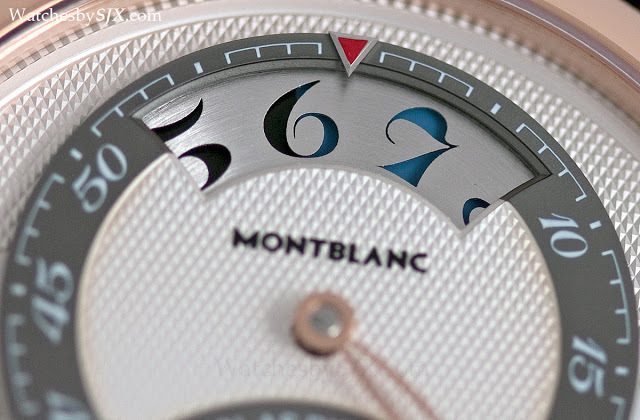 The sub-dials now have raised rings surrounding them, giving the dial more depth and highlighting the displays. 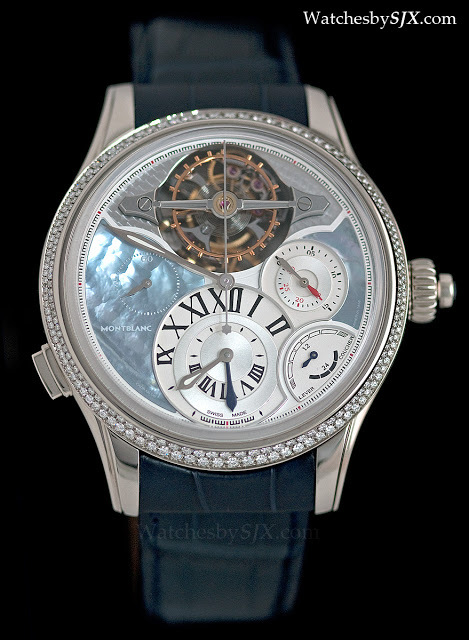 And mother of pearl dials are an option for unique versions of the ExoTourbillon. 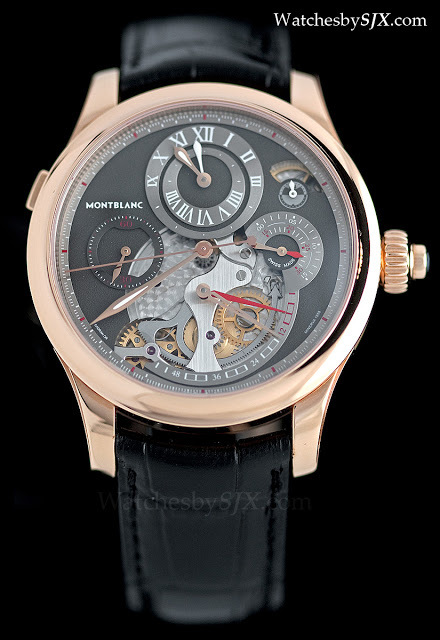 Also the recipient of a facelift is the Grand Tourbillon Heures Mystérieuses. 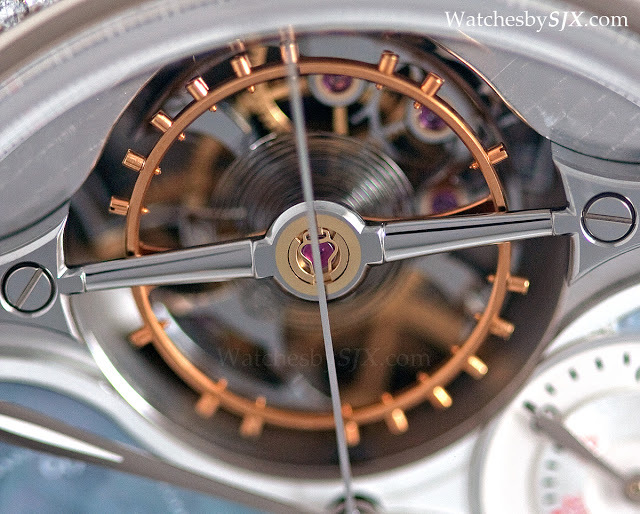 This tourbillon with mystery hours now a more subtle silver guilloche dial. 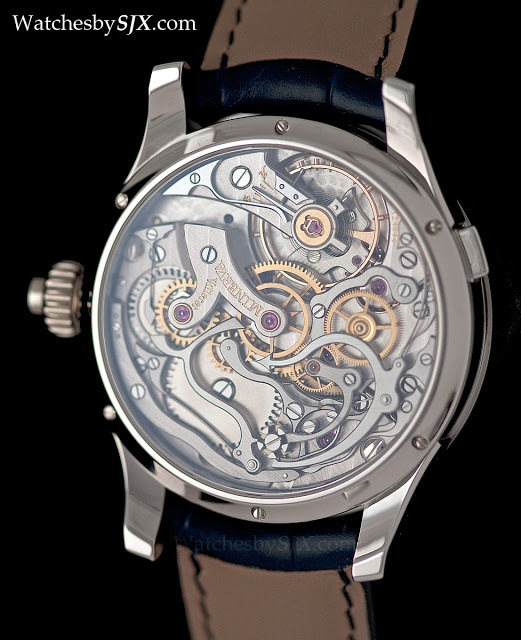 This version is arguably the most refined looking. 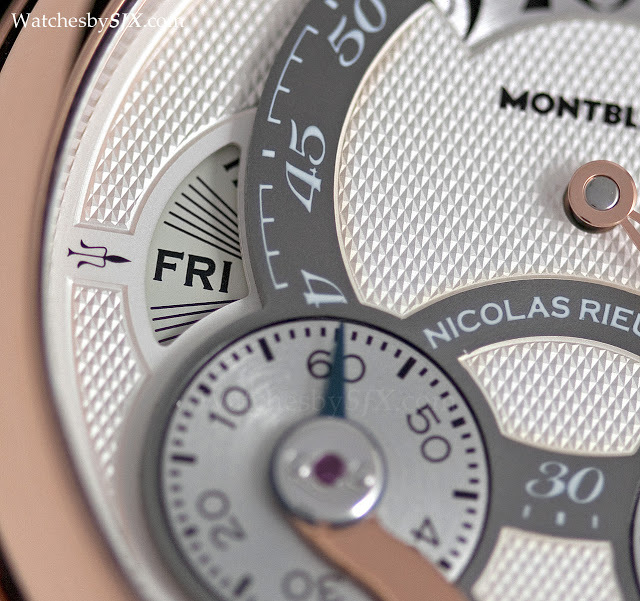 The Régulateur Nautique chronograph is now available in rose gold with a grey dial. 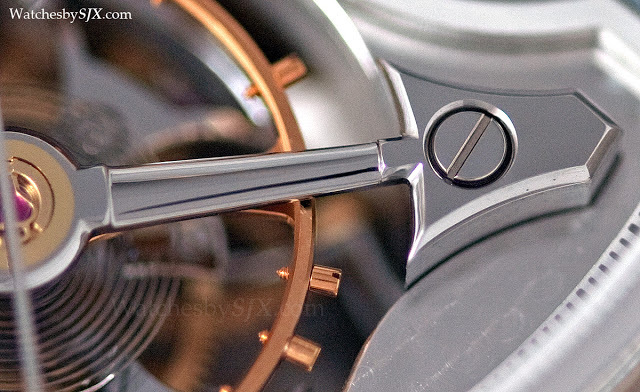 And the dial still retains the opening to reveal the beautifully finished power reserve mechanism. 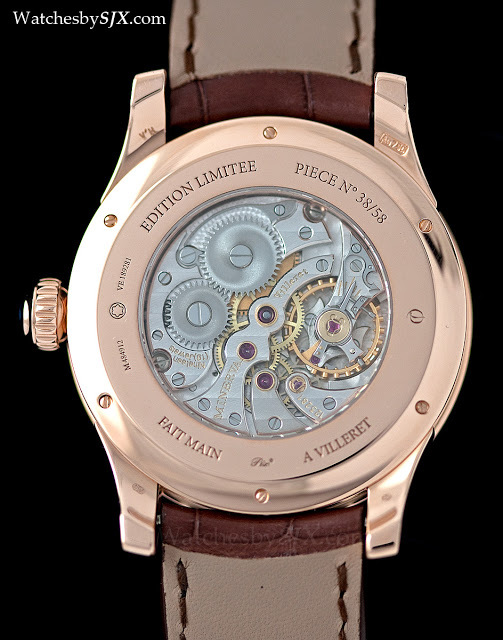 Also new is the Seconde Authentique, which is available singly or as a men’s and ladies’ pair, “Pour Elle & Lui”. 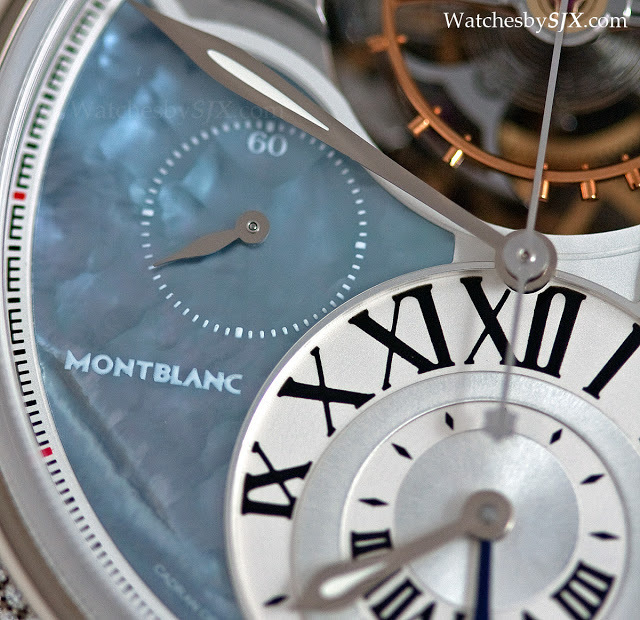 The watches of the set are identical, save for the case diameters of 36 and 39 mm. 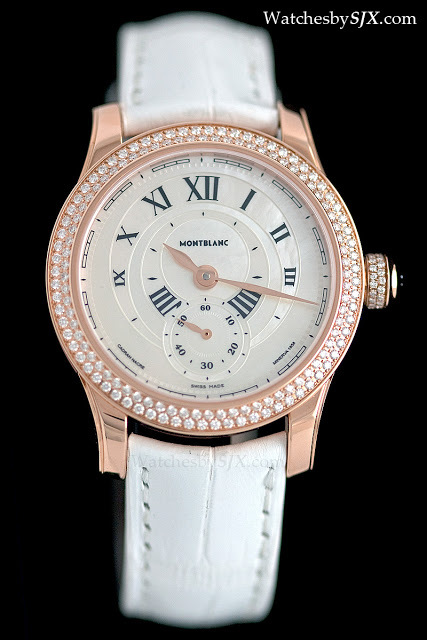 The 36 mm ladies’ Seconde Authentique is also available with diamonds. 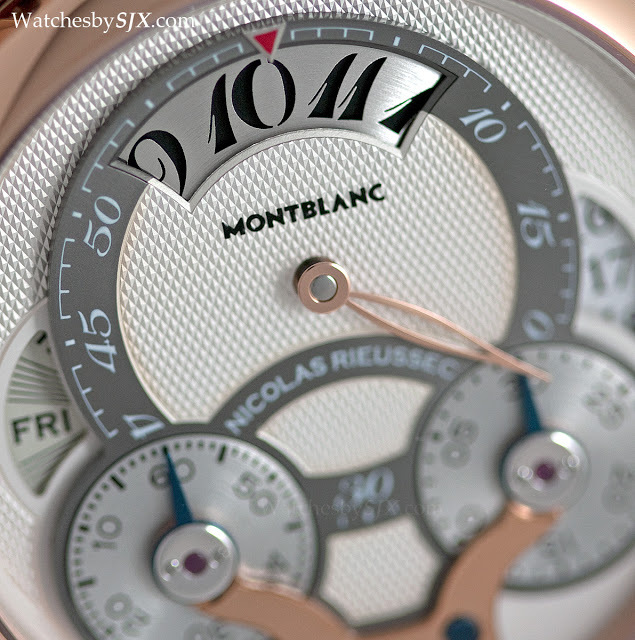 All versions are limited to 58 pieces. 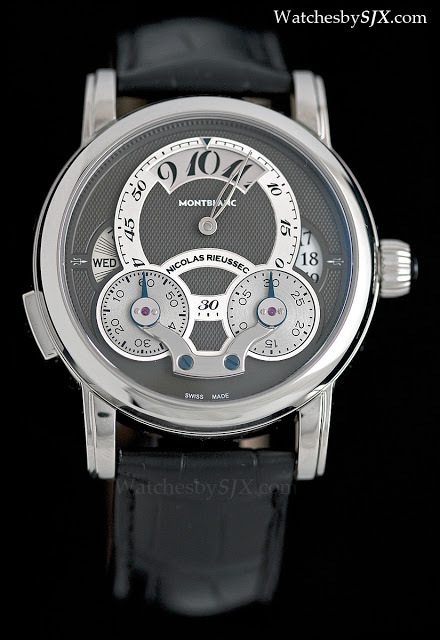 Leaving the Villeret collection, the major new complication for 2013 is the Nicolas Rieussec Rising Hours. 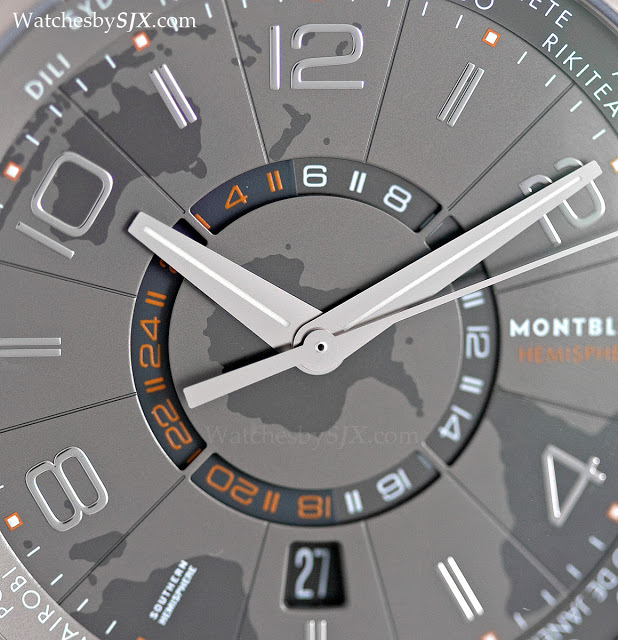 This was unveiled before SIHH and is essentially a wandering hours watch with day and night display. 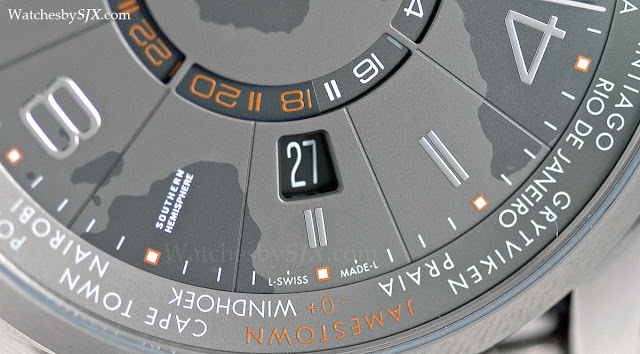 Unusually the day and night display is integrated into the hours disc. 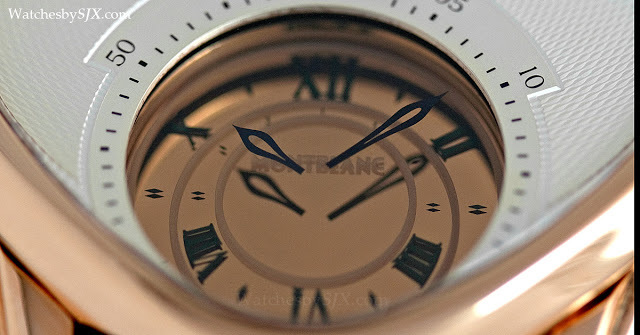 Each of the hour numerals is a cut-out, and changes colour according to the time of day, blue for night time and black for day. 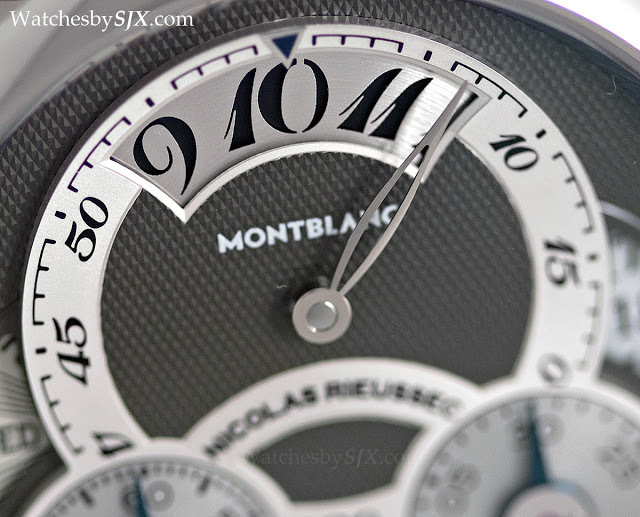 And at six o’clock each day, in the morning and evening, the numeral “6” appears half in blue and the other half in black. 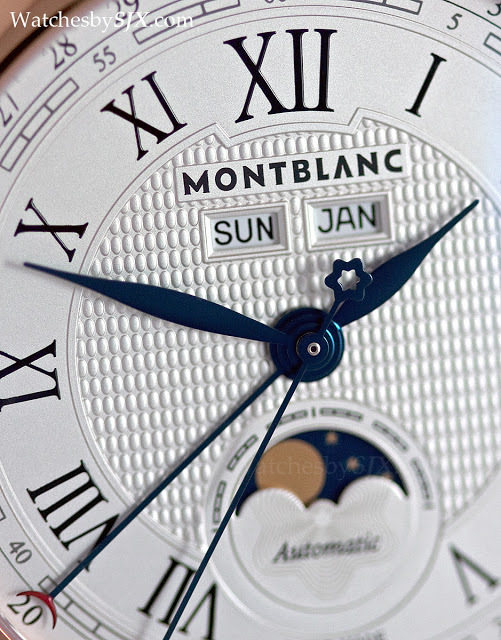 The blue and black day/night disc rotates at varying speed throughout the day. 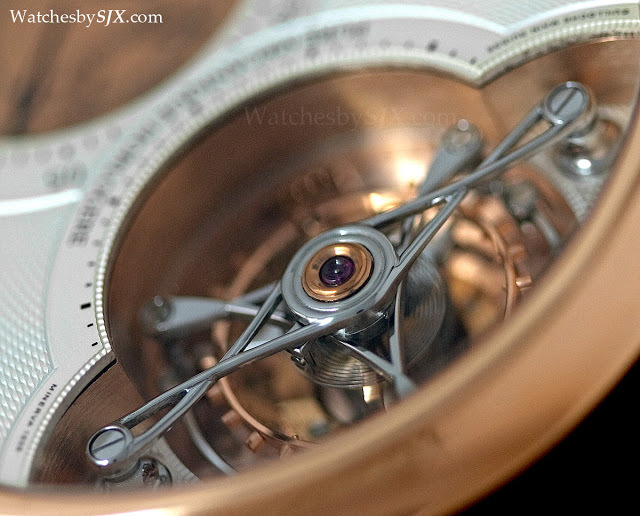 From nine to three (and vice versa), the disc is not engaged. 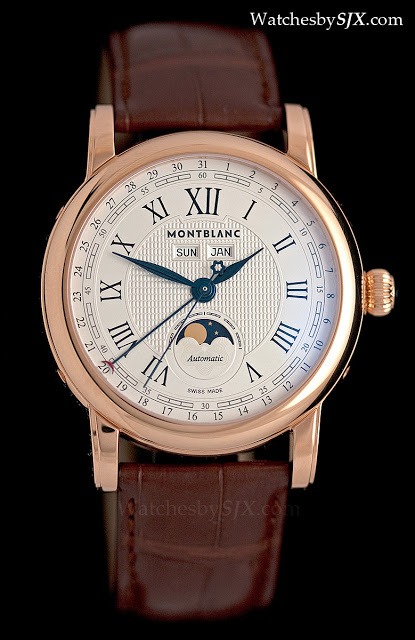 But after three the disc engages and turns at an increasing speed, until 4:30 when it rotates at the same rate as the hour disc above. 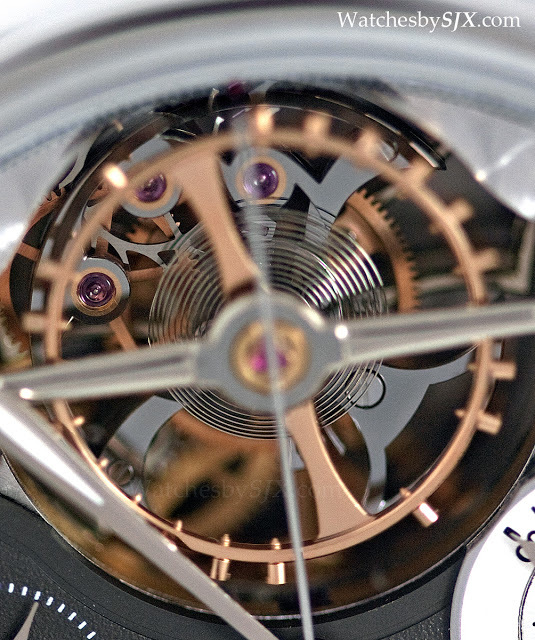 And after 7:30 the disc decelerates, until nine when it disc disengages and stops. 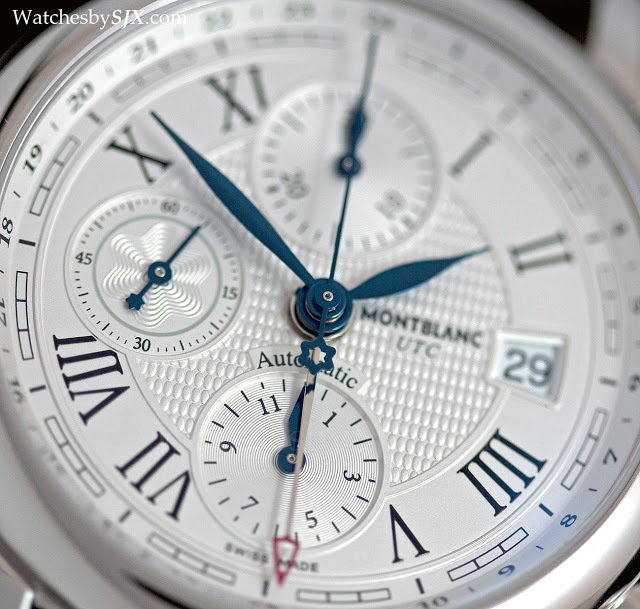 The watch also displays day and date in windows on either side of the dial. 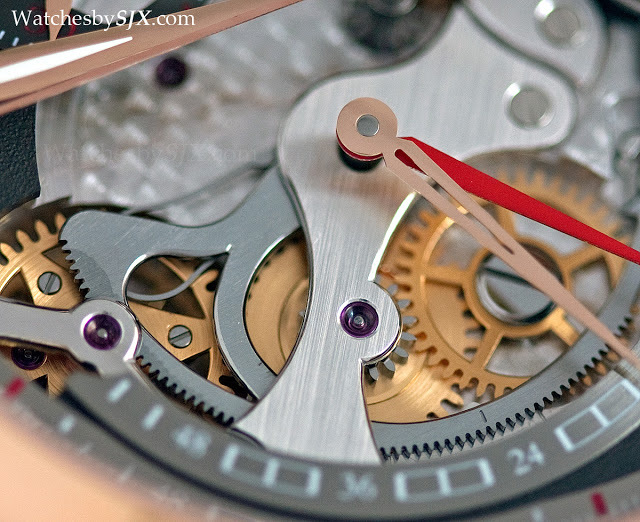 This is accomplished with a Maltese cross mechanism with two cams. 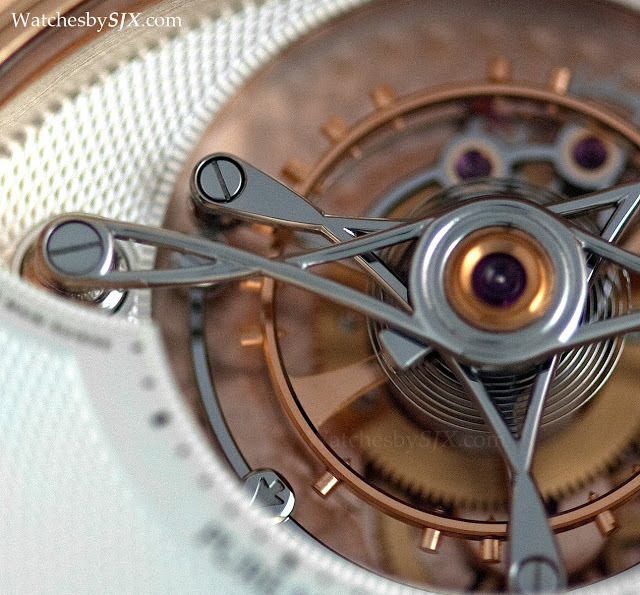 The principle of this mechanism is actually similar to the Urwerk 103 or AP Starwheel. 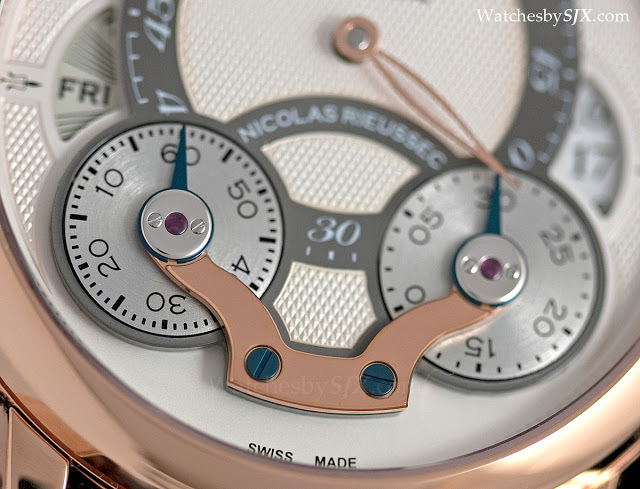 The Rising Hours is available in platinum, rose gold and steel. 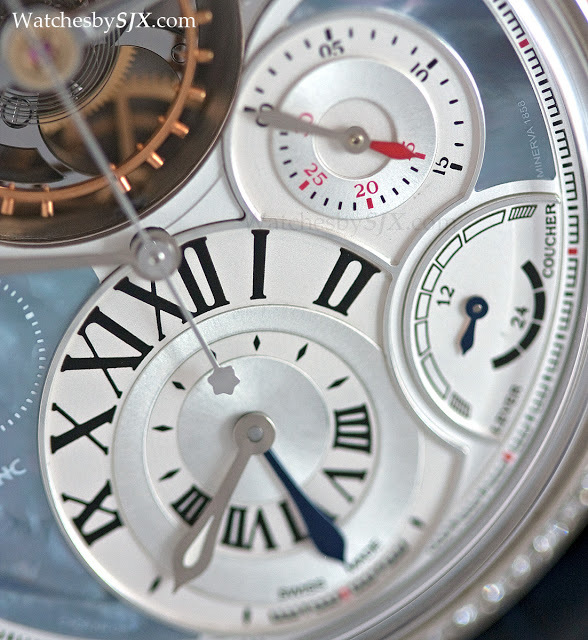 An interesting new model for the TimeWalker collection made its debut at SIHH. 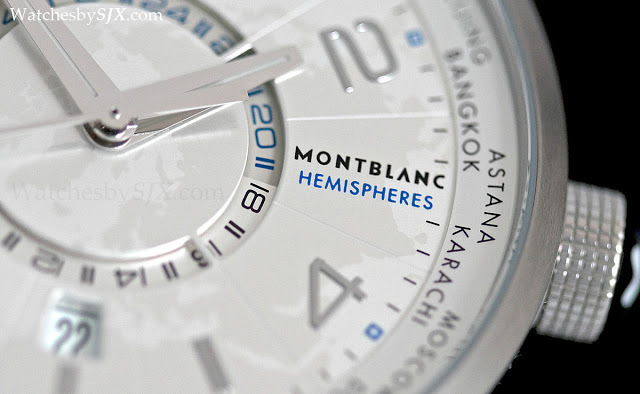 The TimeWalker World-Time Hemispheres, which has a world time function with a twist. 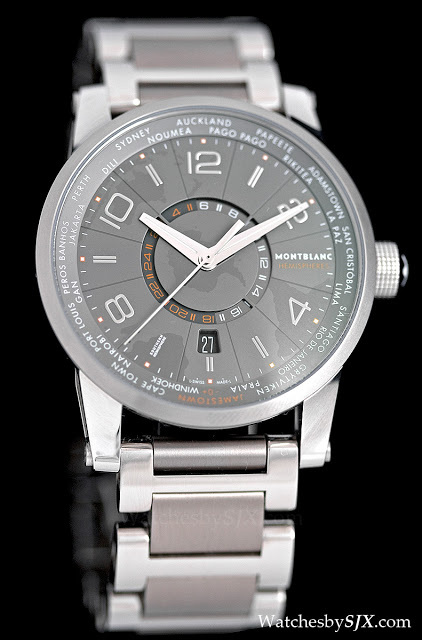 Local time is shown by the hands on the dial, while the time in the cities around the dial is indicated by a 24 hour disc. 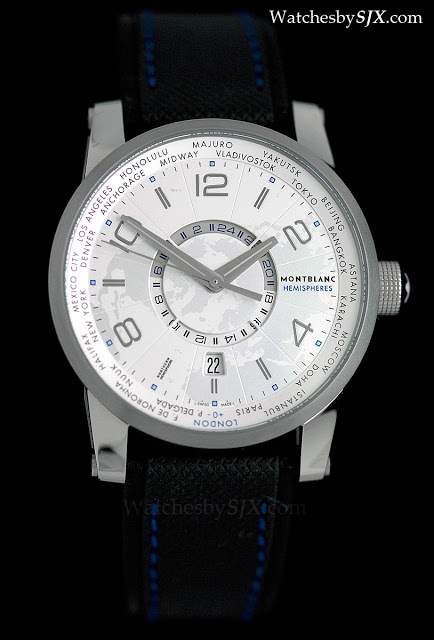 However, two versions of this watch are available, for the Northern and Southern Hemispheres, which are on strap and bracelet respectively. 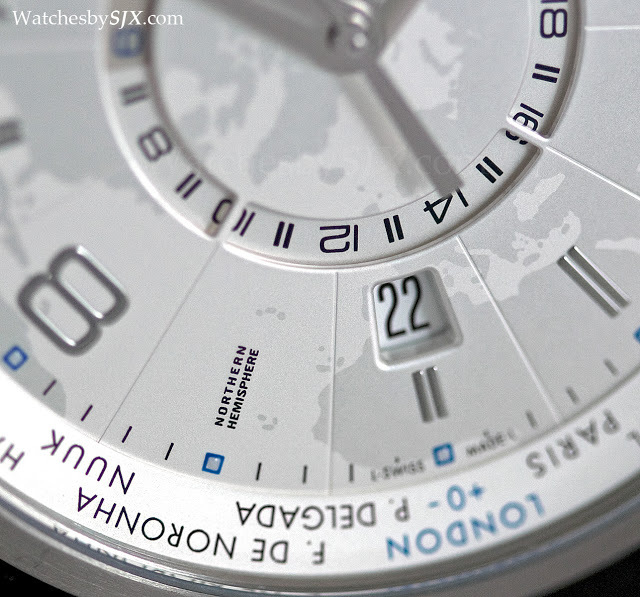 Each has a different map printed on the dial, the Northern Hemisphere watch shows the earth from the North Pole, and it’s the South Pole for the Southern Hemisphere watch. 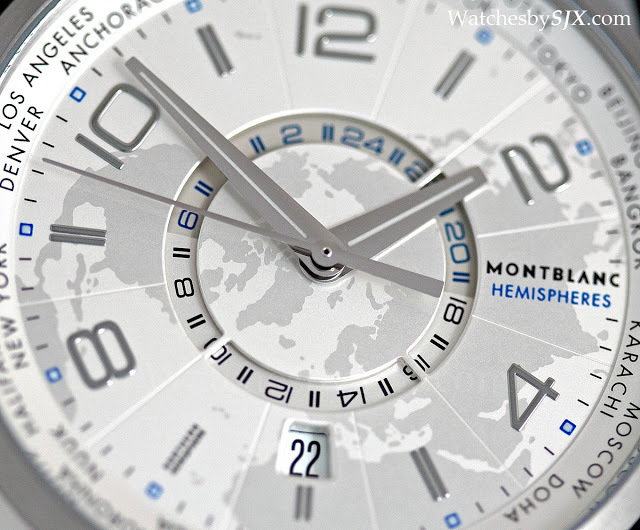 Furthermore the cities around the dial are only places in the specific hemisphere for each watch. 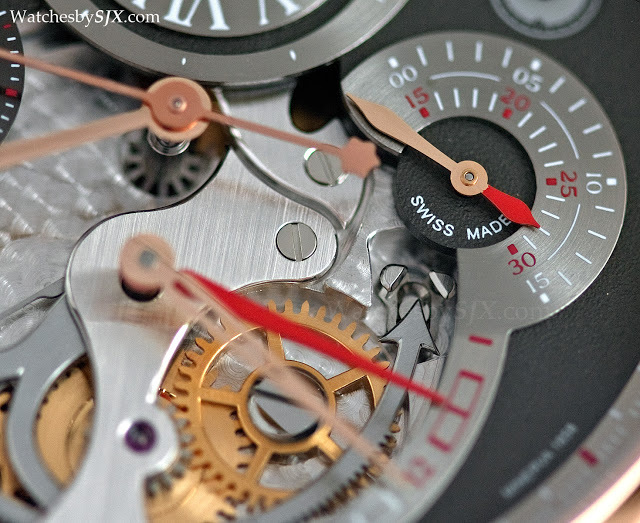 Hence Sydney is on the Southern Hemisphere model only. 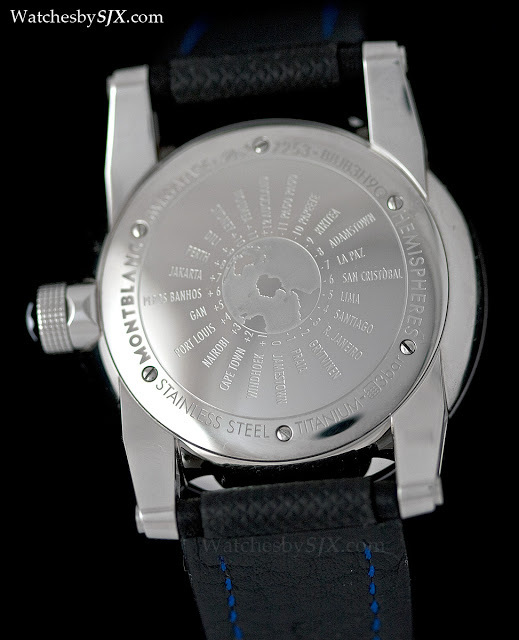 But each watch has the cities of the other Hemisphere engraved on the case back, so that it is still possible to keep track of the time there. 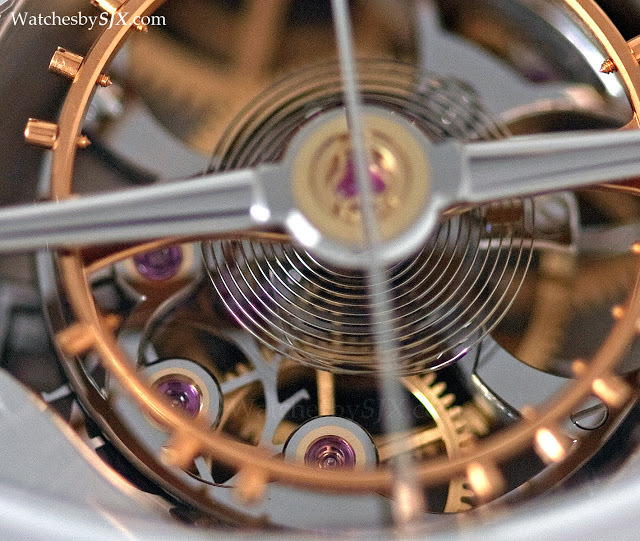 And the 24 hour disc rotates in a different direction on each watch, clockwise for the Northern Hemisphere and vice versa for the Southern Hemisphere. 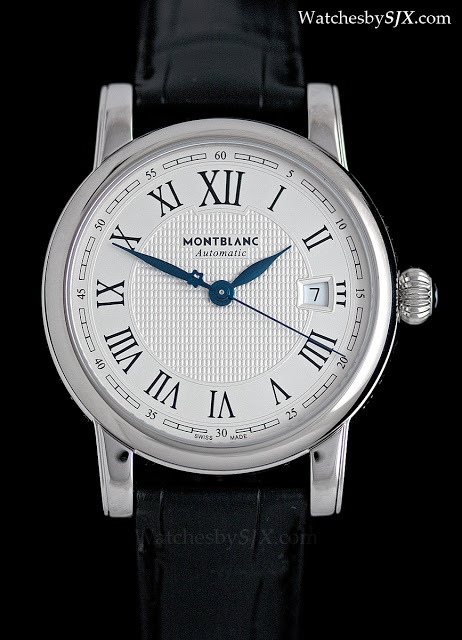 Both models are steel and 42 mm in diameter. 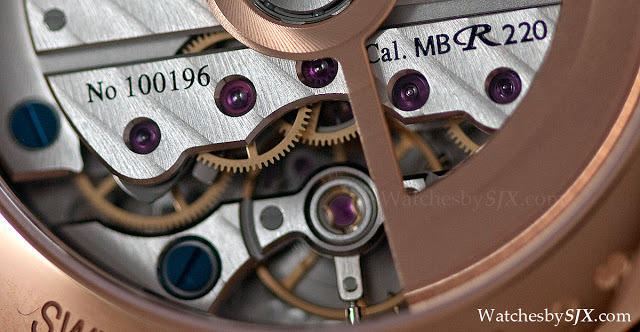 Lastly several models of the Star collection, which is an ETA based entry level line, received a facelift. 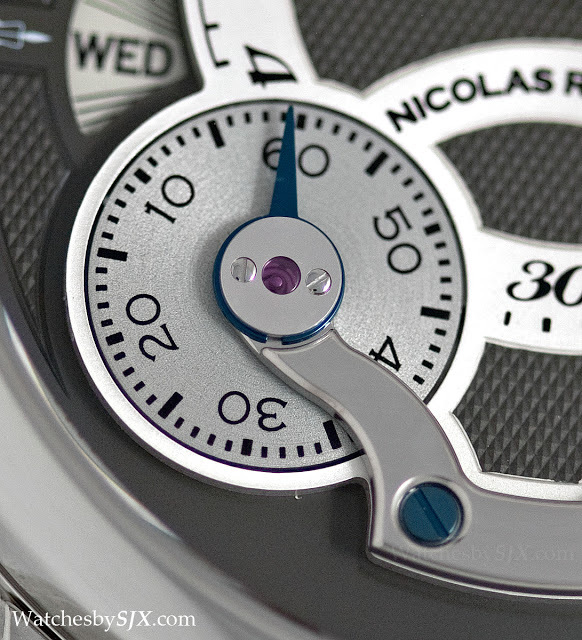 The Star Chronograph and Star Automatic now have dials with a stamped guilloche on the centre. 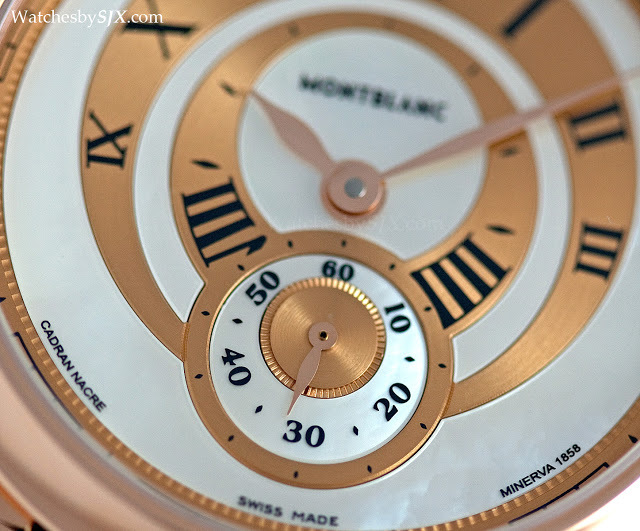 A similar dial is found on the new Star Quantieme Complet, a triple calendar watch with a traditional layout.